White Satin Top Cocktail Dress | Sung Boutique L.A. 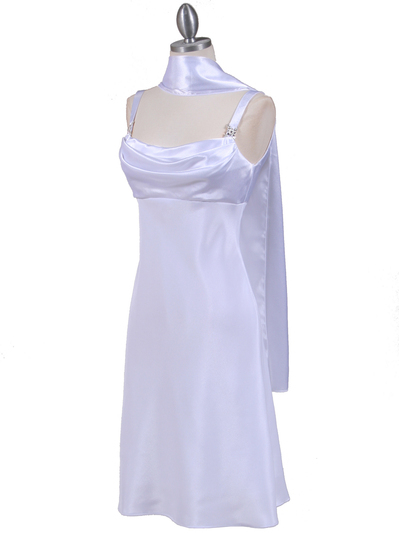 This elegant dress features rhinestone pins on the straps with front and back draped neckline in lustrous satin fabric. The Empire-waist design bias-cut skirt is flattering to almost any figure and the slight sheen fabric brings out the glow in every complexion. Back center zipper. Matching shawl is included.